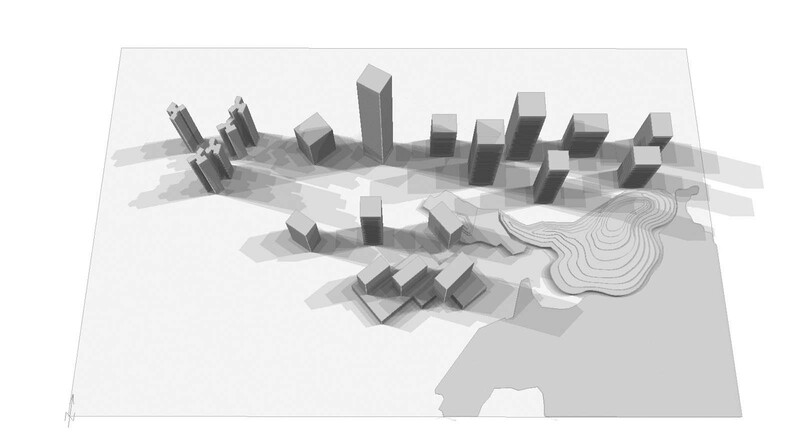 Starting with a constraining volumetry characterized by an extremely limited useful floor space (1.5 m wide), a simple program and open-minded customers willing a unique project, adapted to their needs, the idea is to work with transparency, in view to optimize the spatial continuity. This leads, first of all, to a rational successive organization of the various functions / sequences: 1.) dressing-table “coiffeuse” / reading area, 2.) bathroom, 3.) bedroom. The bathroom in the centre of the area consists of a curved glass box, articulating the volumes while offering transparency between them. 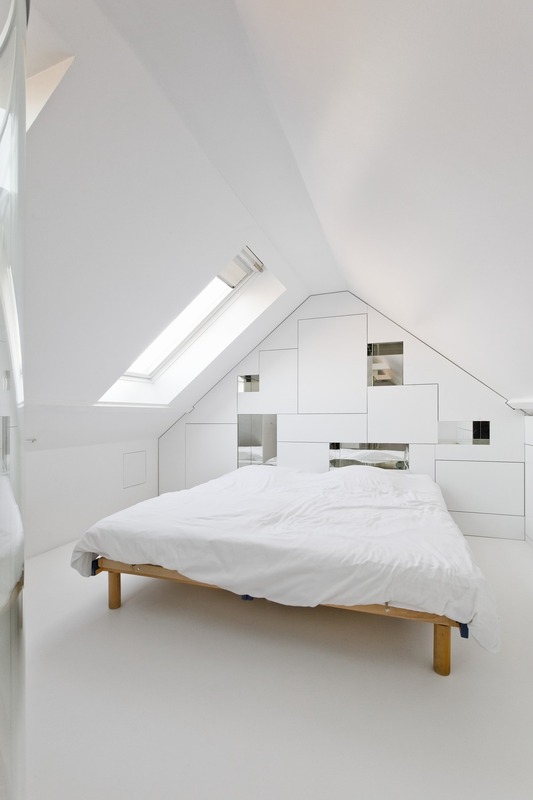 A skylight is cut in length in the roof which illuminates the area. The project is an examination of the relationship between a pristine rural landscape and the advancing forces of a rapidly growing city. Galaxy Yabao Hi-Tech Enterprises Headquarter Park is close to the central zone of Futian District, Shenzhen China. The Gross site area is about 65 ha; and the GFA is over 1,050,000 sqm, consisting of 18 high-rise towers ranging from 100-300 meters tall, a 5 star hotel, 3 service apartment towers, 3 residential towers, a shopping mall and a 32 ha park. The new Police headquarters and the extension of Charleroi/Danses has just won the MIPIM Awards 2012 in the ‘Best Futura Project’ category. 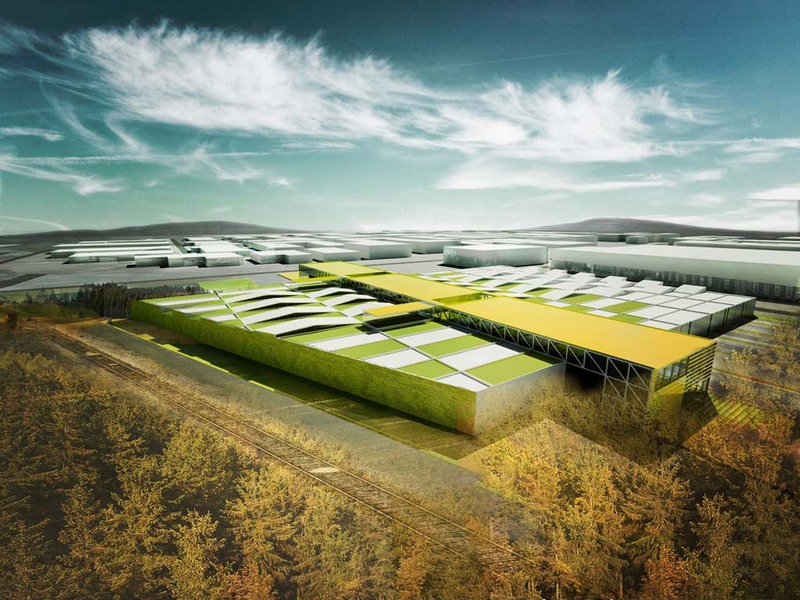 The winner – chosen by a jury and by public vote – has been announced on March 8, 2012 in Cannes during the MIPIM Award Ceremony. 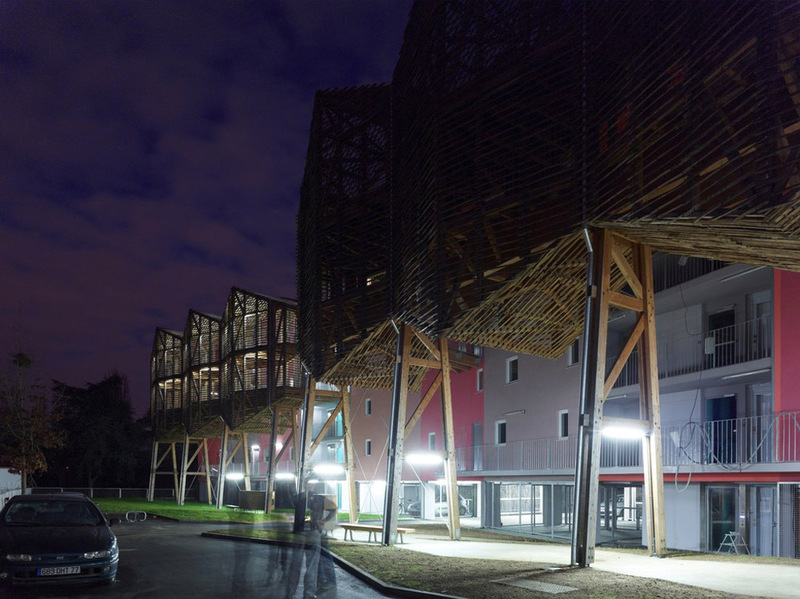 The City of Charleroi has commissioned the CFE group to design, build, finance and maintain this ambitious project conceived by the Ateliers Jean Nouvel and MDW ARCHITECTURE. 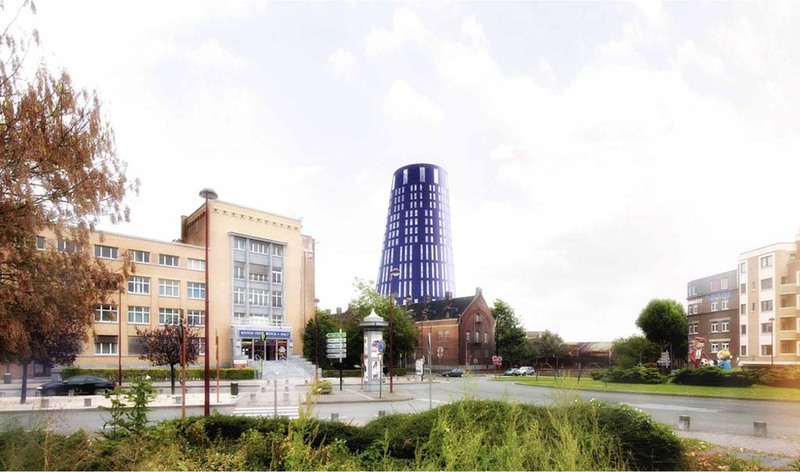 Beside preserving two remarkable wings of an existing cavalry building and adapting them according to low energy standards, this sustainable project includes a third vertical “wing”: a 75-meter new elliptical passive tower clad in blue bricks that accommodates very flexible police offices and facilities. Tétrarc has created 39 social housing shapes as 11 “Houses” gathered side by side. The resultant continuous volume describes a light 21 degrees inflexion on its half, creating two distinct households. As the first one contains 6 rental houses, the second one is dedicated to the 5 sold houses. In order to optimize the space for living rooms without increasing reference surface areas each housing is organized around a nucleus made of a kitchen, a bathroom, toilets, and a staircase for duplex apartments. 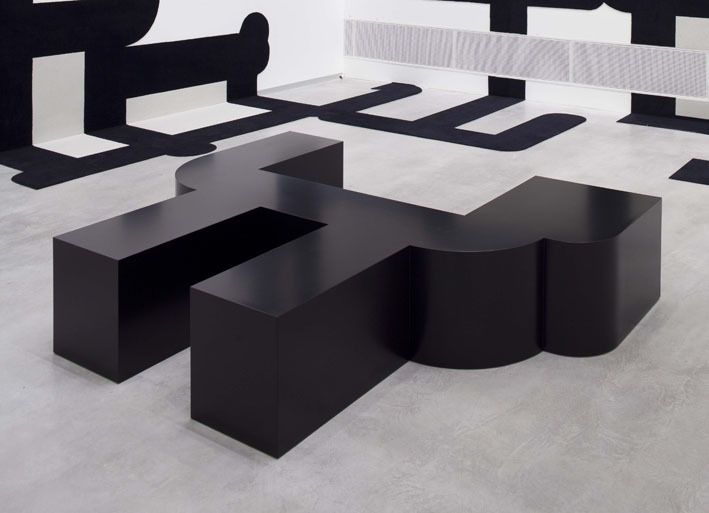 In the same purpose, accesses to the housings are located outside the building as an unexpected & playful iconic element. 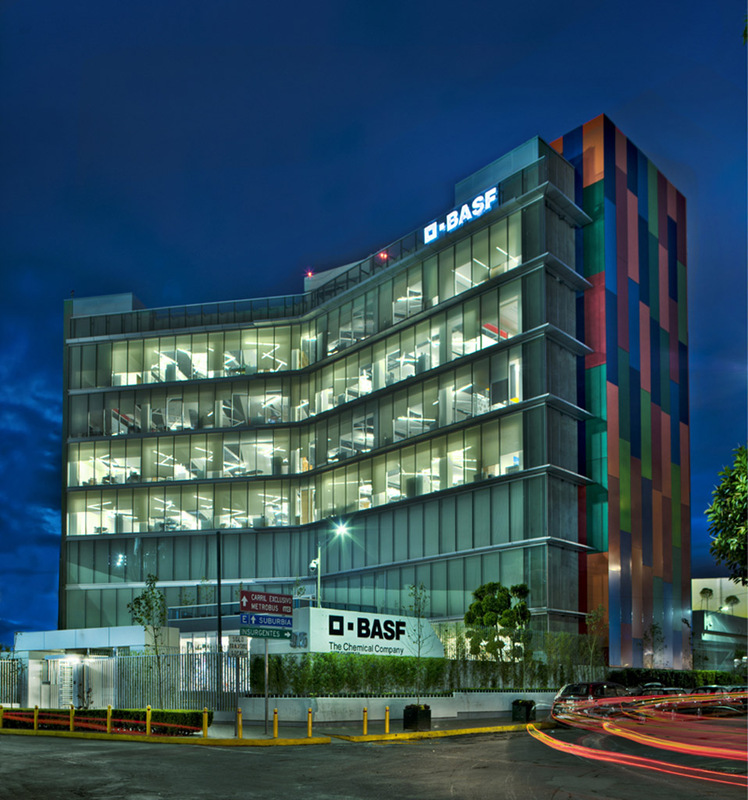 The BASF corporate building is situated in Insurgentes Avenue, one of the most famous avenue in Mexico City. The ground floor is of 1,315.0 m2 and each standard floor of approximately 942.0 m2. The shape has three differently-oriented squares brought together by a central core. BASF’s corporate office project consists of the ground floor and 6 levels, the second floor will be for leasing and the first floor will be developed in the future. The design program for the other floors includes spaces such as a lobby, open and private offices, meeting rooms, a dining room, rooms for informal or casual meetings, an auditorium, support areas and sites. A requirement of the client was to achieve LEED certification, so the design must had to incorporate maximum parameters of energy efficiency and sustainability. Finding your dream house can be a bit of a nightmare whether you are renting or looking to buy. You can trawl the high street for weeks just to catch a glimpse of something that looks fantastic but turns out to be either well out of your price range, in the wrong location or is on closer inspection completely wrong for you. There has to be an easier way to search for homes, surely? Well, luckily for us there is! This is the dawning of the age of technology and there is a little thing known as the World Wide Web. On it there are a great number of property websites, designed with the sole purpose of making the search for homes as easy as possible. Not only do these websites have a vast array of properties on them in your area, but also throughout the country. They allow you to search on a number of criteria to find the perfect home for you in your selected area. On these you can typically search in your price range, be it a house price or a monthly rental price; you can look at the number of bedrooms a house has and even the type of house you want. You can also search on location; if you have an area you want to be in you can search just on that post code or if you are just wanting to be in a certain city you can look at all properties in that city. For instance, on sites such as www.findaproperty.com, if you are currently looking for a house for sale or to rent in Leeds area in the UK, you can type “houses to rent Leeds” and the site will then give you the most relevant results for your queries. If you are looking at rental homes you can also search on long or short term leases and if you want the homes to be furnished or unfurnished. These property websites are great when you are looking at new homes but they still mean that you can spend hours trawling the internet. However, there is also a solution to this – you can set up your search so it emails you when properties come on the market that fit your criteria. To save your inbox filling up you can choose to be sent these daily, every 3 days or weekly. Looking for those perfect houses has never been easier.